Thank You for your Valued Business!! 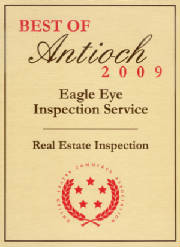 That's why a professional Home Inspection from Eagle Eye Inspection Services is such a valuable investment! An analysis of the property, conducted by a specially trained and completely objective home inspector, can identify nonfunctioning systems, damaged building components, safety issues and quality installations. Having this information before you purchase, sell, repair or remodel can return many dividends, both financially and emotionally! 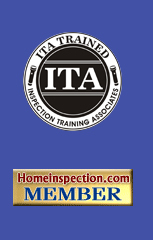 We inspect: homes, manufactured homes, pools, and spas. We are impartial and work only for you. Our job is to provide you with a comprehensive, fair, independent and objective evaluation so that you can understand and take care of your valuable investment. Your interests are our interests before, during, and after the inspection. You will receive your report by website download by the end of the next business day. You will be contacted via e-mail with the link, client name and password so that you can access the report from any computer or device with internet access. Upon request you will also receive a binder report to keep as a future resource for your property ownership!